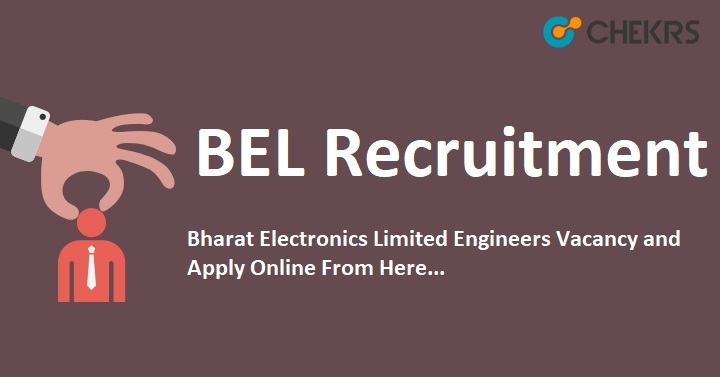 BEL Recruitment 2018: Bharat Electronics Limited (BEL) has released the recruitment notification for the post of 164 Senior and Deputy Engineer posts. Interested and eligible candidates must apply for BEL Recruitment 2018 Application Form on or before the last date 1st September 2018. Therefore the candidates who want to excel their career in Bharat Electronics Ltd can apply for BEL Trade Apprentice Vacancy 2018 soon. The online application process has already started and to get more details of BEL Senior Engineer Vacancy 2018 in regards to eligibility, age limit, application process etc go through the information provided in the article below. Log on to the official website www.bel-india.com. Click on Careers-> Recruitment- Advertisements. Save it and take print out of Application Form for future reference. Remarks: To receive more updates on BEL Recruitment 2018, keep visiting our site www.jobs.chekrs.com. In case of any query or review your valuable comments are most welcome in the commenting section below and our team will get in touch with you shortly.